Those in gambling circles might be familiar with the name Stanford Wong; a renowned card counter and author of numerous books all about gambling with an edge. However the name Stanford Wong is, in fact, a pen name created by John Ferguson. Ferguson has been involved in gambling his entire life and started writing books under the pseudonym, to avoid being restricted from playing the games he loved at casinos. He’s also been one of the leaders in the world of professional gambling. Ferguson grew up like any other kid in America in the 1940s. However, from a young age he had a fascination with card games. He had a highly competitive streak and wanted to beat his classmates at all sorts of games, including tic-tac-toe. When Ferguson was just 12, one of his friends from school introduced him to blackjack and he was instantly hooked. Ferguson enjoyed the simplicity of blackjack but felt there was a lot more to the game than it appeared. So he set about calculating the odds on various hands to try and find a way to beat the dealer. By the time he was 14, he had developed a basic strategy. It was one that he felt would guarantee that he had an advantage over the dealer. There was still one big problem for Ferguson though. At only 14 he was still seven years shy of being able to legally gamble in a casino in the US. Throughout his school years, he was a top student and was particularly strong at mathematics. So instead of testing his skills out at the tables, he set about learning everything he could on the subject of blackjack and gambling. That included studying Ed Thorp’s great text, ‘Beat the Dealer’. By the time he finished school, Ferguson finished top of his class and earned a scholarship to Oregon State University. 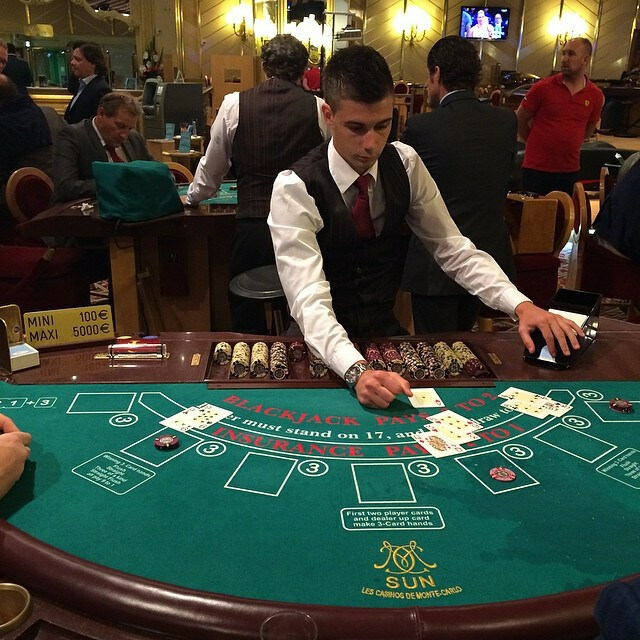 While at University he finally turned 21 and was able to step foot in a casino. Ferguson decided that on his first visit to a casino in Reno, he would use Ed Thorp’s 10-count system. That was the system he felt would be most reliable. He started with a $300 bankroll and quickly won $150 playing $1 to $4 tables. The early wins were enough to get him hooked on the game and he started spending every week at the casinos. He was still pursuing his studies, however, his real passion was for gambling and understanding the maths behind the games. For a period of time in the late 1960’s, Ferguson had to give up gambling all together. He began teaching at Oregon State University, which contributed to this originally, before he was drafted into the Vietnam War. However, upon returning, he started a new chapter in his gambling life. After returning from Vietnam, Ferguson wanted to build up some money so he threw everything he could into Blackjack. It’s been said that he won more than $100,000 in only a few months upon his return to the US. It was around the same time that he started working on his first book, titled ‘Professional Blackjack’. The book was an extensive guide to card counting and included more advanced techniques. Knowing that he couldn’t reveal his true identity as the casinos would quickly ban him from play, he decided to use a pen name. He came up with Stanford Wong to hopefully throw them off the scent. The book was a huge hit in the gambling world and continues to sell even to this day. One of the techniques made famous in the book is called ‘Wonging’. The technique is when players will bet less and actually spend more time watching other players. When the shoe is partially dealt and the odds are in the player’s favour, then you jump in and place large bets. This is also how many of the blackjack teams operate. They use different members of the team to track the count on each shoe and other large bettors come in and actually place the bets. Over the years Ferguson studied many other casino games and wrote books on how players could find an edge. He published books on dice games and craps which controversy suggest that players are able to use controlled dice throwing techniques to gain an edge over the various games. Ferguson has looked at video poker and would track the payout rates of various machines and models. Doing so allowed him to look for opportunities where they are overdue for a win, based on how they were manufactured. In ‘Sharp Sports Betting’, he looks at how you can gain an edge in sports and simple techniques that can help. One such example is the first game of a new season. When a team returns after an extended break, it’s often the underdog that wins and the prices don’t incorporate all of the changes that have taken place over the off-season. In another venture, he looked extensively at tournament blackjack and, in fact, built a computer analyser to examine the various strategies that could be used. He tested them thoroughly with a team of gamblers over many years. Ferguson also developed bj21.com which was a pioneering website that started in 1996 and covered all elements of blackjack and professional gambling. Ultimately, Stanford Wong’s true identity got outed and that made it virtually impossible to continue to play at casinos around the world. Ferguson was inducted into the Blackjack Hall of Fame in 2002 for his contribution to professional gambling.